For nearly four decades, Dan D’Agostino has been on a relentless quest to create audio systems that deliver the powerful, moving experience of live music. Through countless generations of designs, he has moved gradually closer to that goal—but never has he achieved such a dramatic success as he has with the Relentless Monoblock amplifiers. From the subtlest intricacies of its input stage to its unprecedented power delivery, the Relentless Monoblock is designed to play music with the full dynamics and detail of a live performance. From a fraction of a watt to as high as 6,000 watts, the Relentless Monoblock maintains its harmonic integrity and expansive soundstage, no matter what speaker it drives. 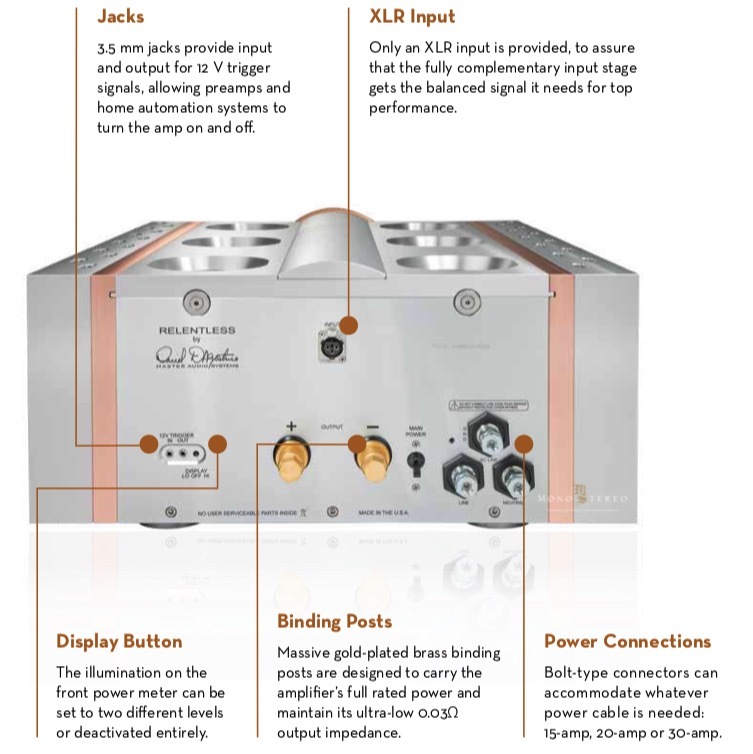 Although audiophiles’ attention may be drawn to the sheer size and power of the Relentless Monoblock, the small-signal stages are the most important— because the more powerful the amplifier, the more important it is to get the details right, as any flaws will be amplified to an even greater degree. This is why the Relentless Monoblock employs the finest input stage Dan D’Agostino has ever designed: an all-new, fully complementary topology designed to extremely tight tolerances to assure a perfect balance between the positive and negative components of the signal. Any distortion, noise or interference that appears in one half of the signal will also appear in the other half, and thus be canceled. The Relentless Monoblock’s gain stage is designed in accordance with Dan D’Agostino’s mandate that this amplifier deliver the maximum possible performance, regardless of the speaker it is used with. The gain circuits operate in the current domain, rather than in the voltage domain, so the gain does not change as the speaker’s impedance fluctuates with frequency. D’Agostino specifically designed the Relentless Monoblock to be linear in open-loop operation so it needs no global negative feedback—thus preserving the detail and subtlety he achieved in the input stage. D’Agostino conceived the Relentless Monoblock to be the first power amplifier that, to put it colloquially, simply “doesn’t care” what speaker is connected to it—an amplifier that can deliver impeccable performance with any transducer, no matter how demanding the music or loud the volume. Achieving this required extraordinary methods and materials. It starts at the power supply. Through a custom-designed, ultra-fast, high- power rectifier circuit, the 5.5-kilowatt transformer feeds a bank of six 100-volt, 100,000-microfarad capacitors. The amplifier’s slow-start circuit charges the capacitors in stages, so there is no concern that powering up the amplifier might trip a household circuit breaker. The Relentless Monoblock can achieve its rated 1,500 watts into 8 ohms with a standard 15- or 20-amp household circuit, but achieving its rated 3,000 watts into 4 ohms and 6,000 watts into 2 ohms requires a 220-volt, 30-amp circuit of the type used for electric clothes dryers—something any electrician can install. Bolt-type terminals allow easy, direct connection of whatever type of power cord is required. To make maximum use of the practically unlimited resources of this power supply, D’Agostino employed his exclusive Super Rail concept, which uses higher voltage rails in the sections prior to the output stage. This effectively “turbocharges” the amplifier so the output stage can always achieve its rated power no matter what the demands presented by the speakers, the volume and the music being played. The Super Rail technology improves dynamics, lowers distortion and tightens the amplifier’s electrical grip on the speaker. The 570-pound weight of the Relentless Monoblock is no extravagance— it’s a requirement. This sheer mass of metal was required to cool the output transistors passively, without using a noisy cooling fan that could obscure microdynamics and detail. All output devices are attached to massive copper slabs, which are much more thermally efficient (although much heavier) than aluminum. 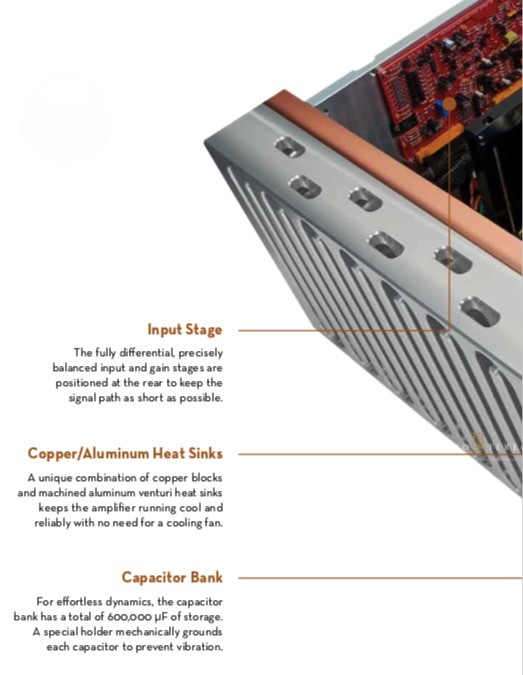 These copper slabs attach to elaborately machined aluminum heat sinks that channel heat away from the copper, acting as a super-efficient “thermal engine.” Thus, even at maximum power, the Relentless Monoblock never runs hot. 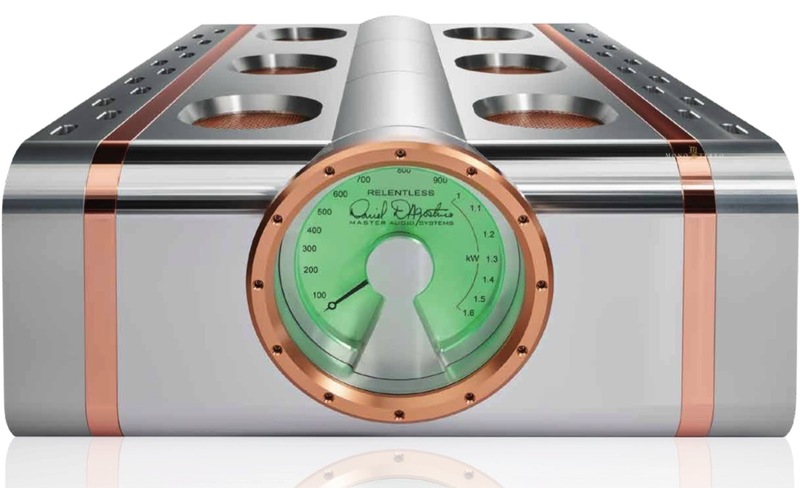 The Relentless Monoblock’s new power meter is not only the signature look of Dan D’Agostino Master Audio Systems, it bears Dan’s signature. The meter measures more than 8 inches in diameter. The meter’s range and response automatically adjust to the level of the incoming signal, making it easy to read no matter how quiet or loud the musical passage is. Like the external heat sinks, all chassis components of the Relentless Monoblock are machined from solid copper or aluminum. The electrical shielding and vibration damping provided by this thick metal enclosure protects delicate musical signals from any sources of interference. A side benefit of the high- precision milling process is that the amplifier’s entire chassis fits together solidly with no visible fasteners. 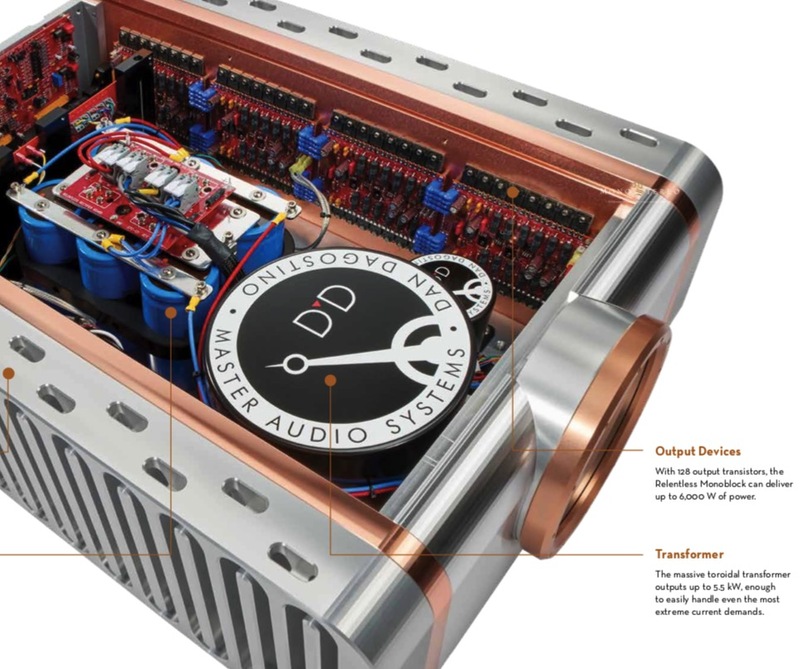 As you can see, Dan D’Agostino has been truly relentless in the design of this amplifier. No compromises have been tolerated—and his goal of getting as close to live music as possible in the home environment has been achieved at long last. 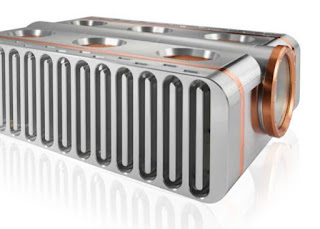 The Relentless Monoblock is an amplifier of substance. 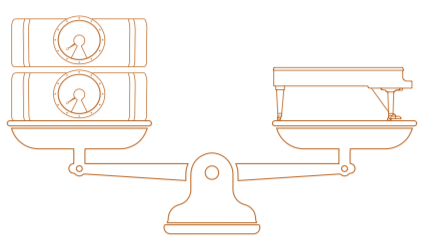 In fact, a pair balances the scales with a Bösendorfer Concert Grand 280VC. Both instruments deliver uncompromising performance and unequaled sound. Designed, handmade and assembled in the USA using USA machinists, vendors and parts procurement.